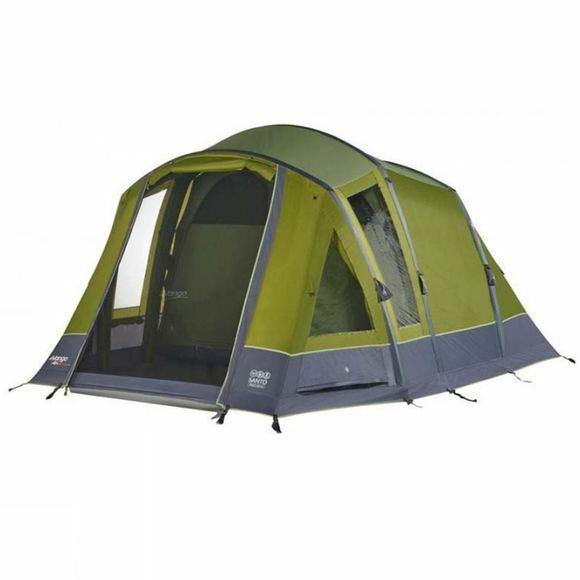 The Santo Tent from Vango is an easy to pitch 4-person tent designed to be your home away from home. 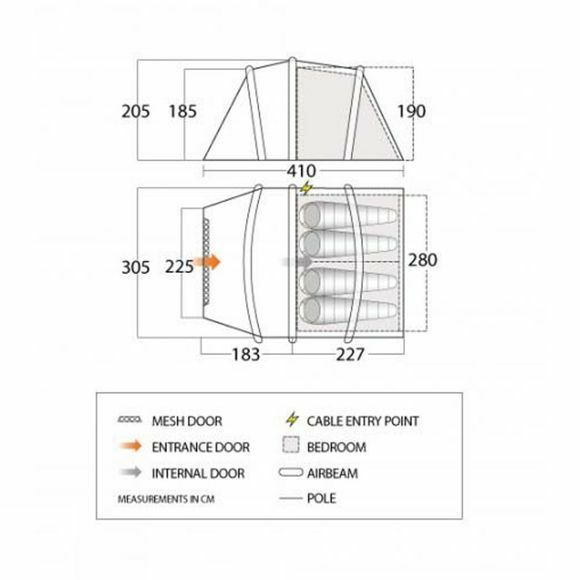 With its 2m high ceilings, you will be able to stand up and walk around within the tent. The large living space is large enough for you to store all your gear out of the elements and offers a sanctuary if the rain comes. The spacious bedrooms are large enough to fit a double-sized sleeping mat or airbed. With Vango AirBeam technology there are no poles to worry, simply pump them up with the included pump when you get to the campsite and you can start enjoying your holiday faster.